Your roof is one of the components you have to keep well-maintained because it maintains your safety and comfort throughout any season. The elements can take their toll on your roof, and even if the damage is minimal, it can spread out and affect other components if left unchecked. Use binoculars to inspect your roof from the ground. You can look for signs of wear and tear, such as shingle grits inside gutters, moss growth, or dark spots on roofs. You can also look for buckling or missing shingles, cracks, or leaks. If you see any signs of damage, make sure you call one of the trusted Michigan roofing companies like Kroll Construction. By scheduling repairs immediately, you can avoid more costly repairs or replacement. Flashing around vents, skylights, chimneys, and pipes keep water at bay. Due to years of elemental exposure, it could dry or shrink. When this happens, water can seep through the roof and cause moisture-related issues. These include rot, poor insulation, leaks, and stained walls and ceilings. 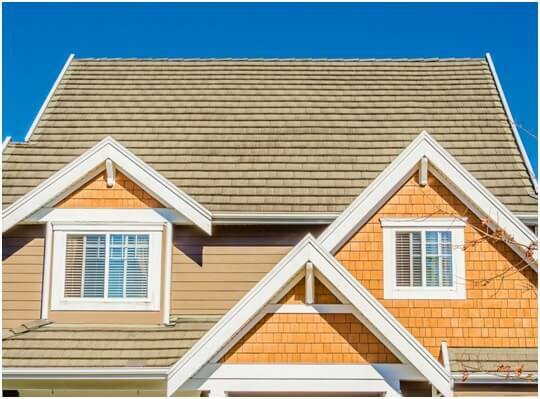 Roof maintenance is a surefire way to maintain a good-performing roof. A professional roofer like Kroll Construction can inspect your roof thoroughly for hidden and visible damage. We know what to look for and we know how to deal with different types of damage. Our years of handling Michigan roofs ensure that we have the knowledge and skills to keep your homes safe whatever the season. We even provide a written report after inspection so you know what the next step will be. If we see that your roof is beyond repair, we will recommend a complete roof replacement. We are one of the roofing companies in Michigan that carry certifications from the top manufacturers in the industry like Owens Corning and IKO. For more roof maintenance tips, call us today at (888) 338-6340. You can also reach us through our contact form.